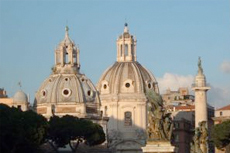 Plan for an intimate and enlightening experience with a private city tour of Rome. This excursion will highlight major sites in Italy's capital, granting an easier access and a personalized experience you are sure to appreciate! We saw a lot for a short day, Rome in Limo does not dissapoint and Giovanni was very accommodating to our late arrival and to the fact that not everyone in the tour had plans to see the vatican! English speaking driver picked up our family and drove us around in a nice Mercedes van. Rome was a zoo. Since it was world tourism day our Vatican skip line was cancelled. Got to ride and look at most things from outside. Driver Livio is so friendly and flexible for our tour arrangement. Another wonderful tour with Rome In Limo. This tour was absolutely fantastic. We hired a private tour to allow more flexibility in our schedule and see sights that the large motor coaches couldn&apos;t go. Sharing with another couple, the private tour is cheaper than booking through the cruise line. So rich in history: Colosseum, the Roman Forum, Spanish Steps, Trevi Fountain, the Vatican, Sistine Chapel and St. Peter&apos;s Basilica. Tour was very smooth - driver Marcello was knowledgable and connected to his city but understands the hypocrisy. Took us to great place for lunch, non-touristy. Great tour of Rome and the vatican with a private driver. Basic hop on hop off. We booked DriverinRome to take us touring in Rome (both days) and to drive us to/from the ship. We booked DriverinRome to take us touring in Rome (both days) and to drive us to/from the ship. Daniel (our driver) was so fantastic he even arranged for pick-up from a Water-taxi in Venice (after we finished our cruise). Booked Rome in a Day tour with RomeinLimo. This tour couldn&apos;t have been better. The driver was excellent and went out his way to ensure we saw everything we wanted to within the number of hours we had. His English was very good and nothing was a problem, the van was accessible and stress free experience in Rome. Although a very busy (and hot) day, tour group was fantastic - we saw heaps. Used Rome in Limo for a private tour.